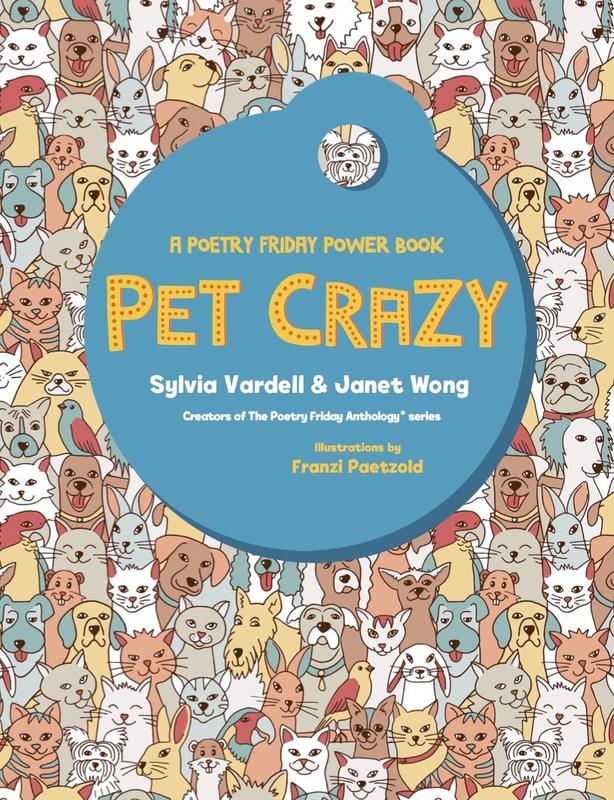 April is National Poetry Month and it’s time to celebrate. Ready for a game? Let’s play Poetry Tag! Every day this month my blog will feature a different poem by a different poet. Here’s the catch. One poet offers a poem and "tags" a fellow poet. 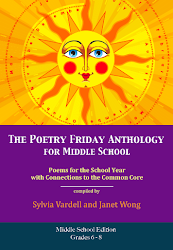 Each poet then shares a poem that is connected to the previous poem in some way--by theme, word, idea, or tone--and provides a sentence or two explaining that connection. 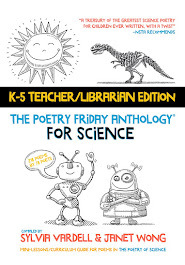 These may be new original unpublished poems or poems drawn from previous works. 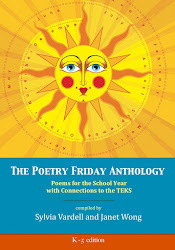 By the end of the month, we’ll have a “chain” of poems and see firsthand how poetry can be selected, connected, shared and celebrated. Ready, set, let’s go. Voila! 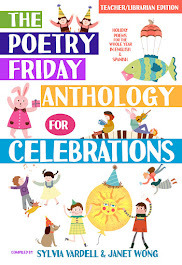 Isn’t this a fun way to celebrate poetry, poets, and our poetic connections? What other poems does this poem make YOU think of? Tag. You’re it! I checked A Hippopotamusn’t, it is cute! Which book of J. Patrick Lewis would you recommend for the age-group 8-12? Many thanks. 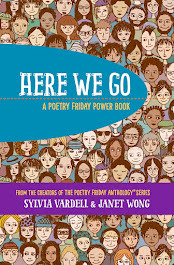 Sylvia,"Poetry Tag":what a great new game! I so appreciate your wonderful blog. It's a great way to catch up on the world of words. I love this poem because it points out that so many poems are those sort of slap your forehead moments where you wonder how it is that someone else saw what was right in front of you but you never noticed. 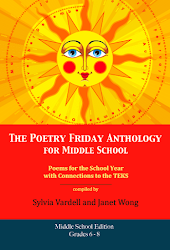 I think your Poetry Tag is a wonderful idea and am looking forward to all the fun posts. 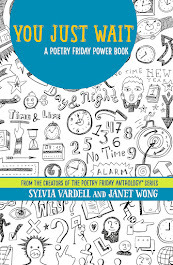 Poetry Tag is a wonderful idea and I look forward to following the poems and connections, and to reading the first and the last poems to see what connections there might be. LOVE the idea of words hidden in words -- some that belong and some that don't. Where will XJ Kennedy go with this, I wonder!!! Hi! 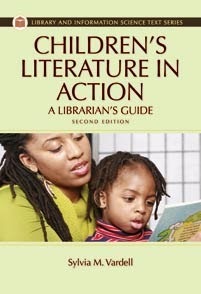 Looking for a poem for an 11 year old to do for a speech and drama exam - must be written by an irish poet. She would like something funny?????? Any suggestions would be gratefully accepted!! Thank you all for stopping by on this launch of Poetry Tag for Poetry Month. I hope you'll return to see how each poem connects with the next. 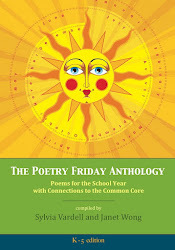 For an Irish poem, check out my post on Friday, March 16, 2007-- there are 2 straight out of an Irish anthology for children. 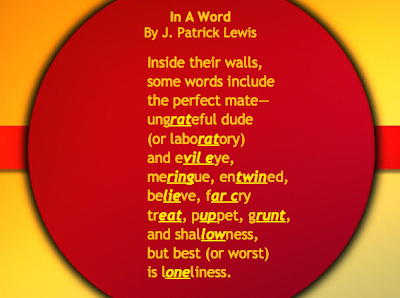 And SO MANY of J. Patrick Lewis's books are great for ages 8-12. 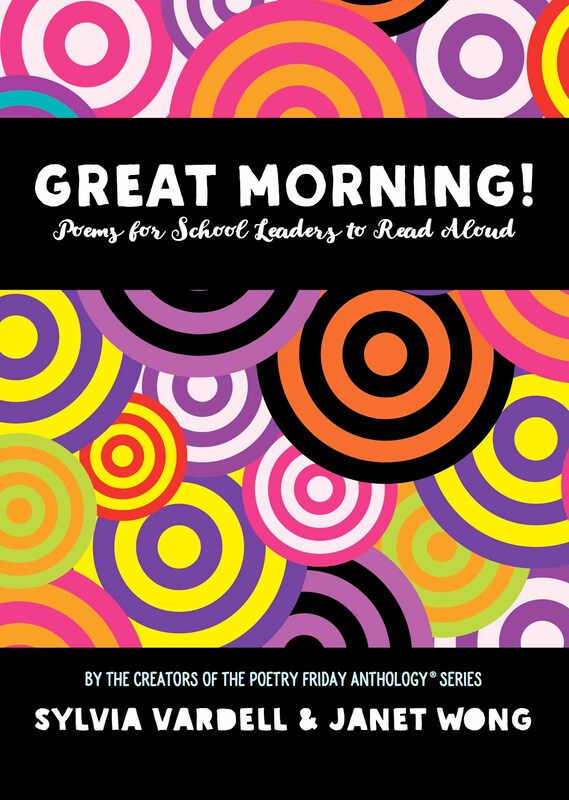 Start with his new collection, COUNTDOWN TO SUMMER with a poem for each day of the school year and plenty of humor, wordplay, and cartoon art.